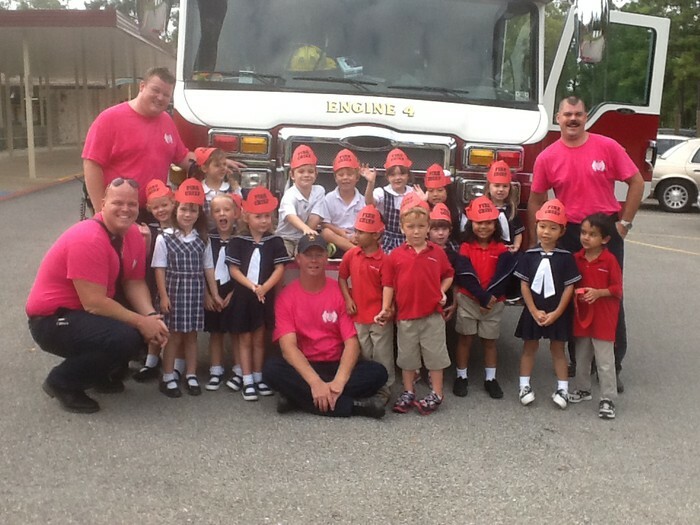 On Wednesday, October 10 the Beaumont Fire & Rescue firefighters brought Engine #4 to All Saints Episcopal School. 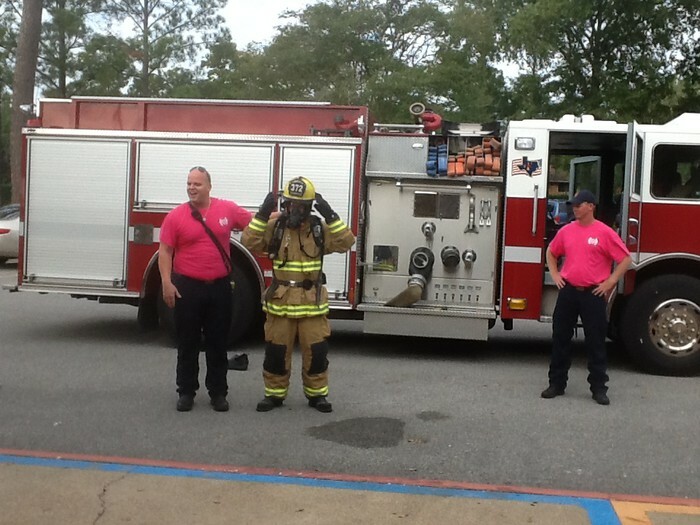 The fire captain talked about fire safety and showed us the fire truck. 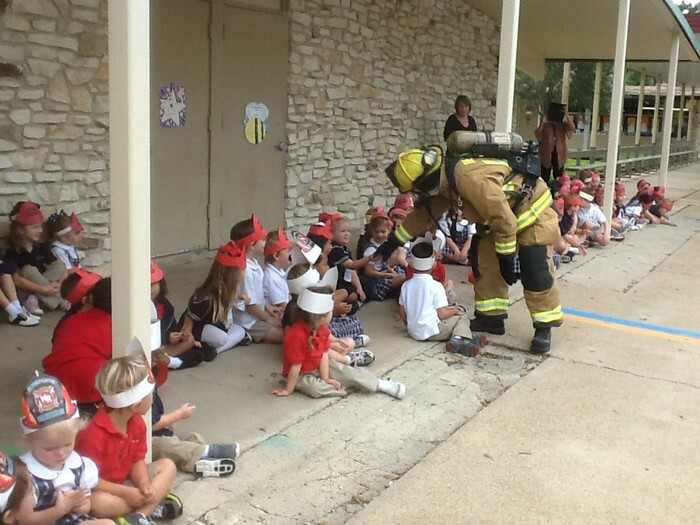 One of the firefighters put on his turnout gear. He then walked around and shook hands with the children, so they would know that he was their friend; and they should never hide from a firefighter. The children had the opportunity to walk through the cab and sit in it. Then they had their pictures taken with a firefighter. All of the teachers and students are thankful that we have brave men in our community to help "keep us safe."